Since the ban expired on November 12, an estimated number of over 60,000 trucks entered through various border points, as there was no information about whether the ban was extended or not. NEW DELHI: More than 60,000 trucks entered the national capital after the ban on entry of such vehicles expired on the night of November 12, officials said. 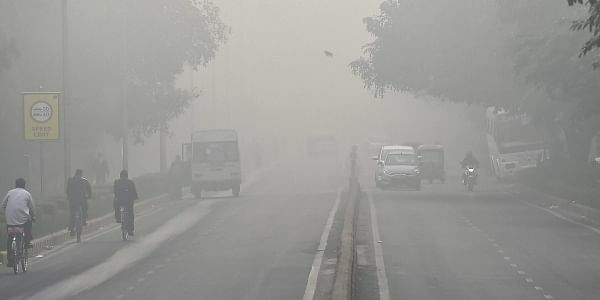 The ban on the entry of trucks in Delhi was imposed by authorities from 11 PM on November 9 after the pollution levels touched 'severe plus' category. The ban expired at 11 PM on November 12. "Since the ban expired on November 12 night, an estimated number of over 60,000 trucks entered through various border points of the city, as there was no information about whether the ban was extended or not," the official said. Incidentally, the ban on the entry of trucks was today extended till further orders due to fluctuating levels of air pollution, a senior Delhi government official said. Reacting to the entry of trucks after expiration of the ban, Environment Pollution Prevention and Control Authority (EPCA) member A Sudhakar said, the notification may have lapsed but there were standing orders from the NGT in this regard. "Also, the ban is a part of the Graded Response Action Plan (GRAP), which was cleared by the Supreme Court and notified by the Centre. These measures are to be mandatorily enforced when pollution reaches a certain category. If there are violations, the court will take cognisance," he said. The 24-hour average air quality index (AQI) of the Central Pollution Control Board (CPCB) was 308 today, which falls in the 'very poor' category, following a week-long smog episode when pollutants shot up to emergency levels.